Loyola University Chicago might have a reputation as a smart, private school on the north side of Chicago, but there’s a history of hip-hop on the Lake Shore Campus making its way back to the forefront. In 2014, a song titled “LUC Trap” was released. 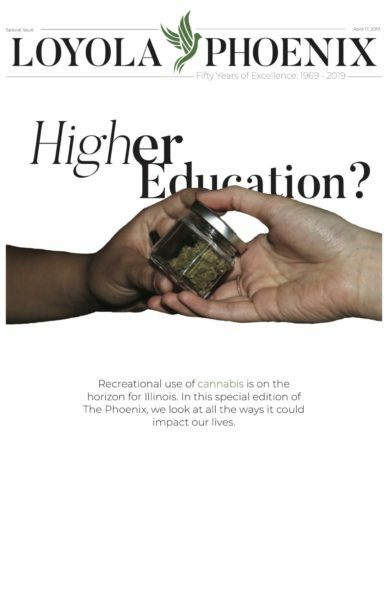 The YouTube video has more than 16,000 views and includes references to the now-closed local bar Pumping Company and San Francisco residence hall. The video includes footage from a party near Loyola’s campus and a student rapping from the Palm Court of the Mundelein Center. In 2016, a song produced by the men’s volleyball team took Loyola’s campus by storm. “I’m a Rambler (Rambler Things)” was produced by Ben Plaisted and Nick Olson. 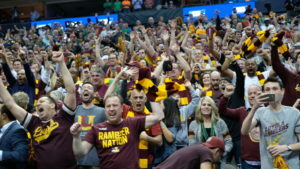 The song has more than 15,000 views on YouTube and includes repeated mentions of the duo’s “Rambler arms” and their “Rambler wings” and compared the men’s volleyball team’s back-to-back National Championships to Drake. 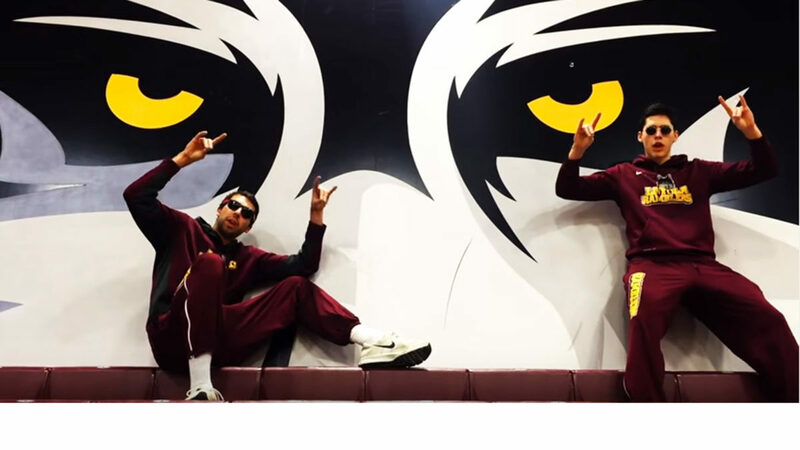 With the men’s basketball team’s success in the NCAA tournament and the storied history of hip-hop on campus, it only makes sense a new chapter in Loyola rap would be born. “We have our own rap song now. We win,” Shanks tweeted. The men’s basketball team has no idea who is rapping and according to Shanks, a player sent it in the team’s group chat. The success of this new song remains to be seen, but double platinum doesn’t seem out of the question with the success of the Ramblers in March Madness. The Ramblers take on the University of Nevada March 22 at 6:07 p.m.